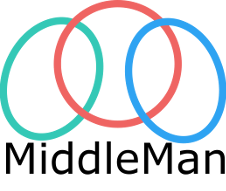 Middleware | Minisoft, Inc. Middleware | Minisoft, Inc. 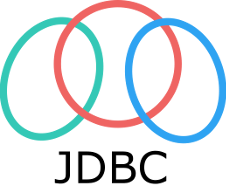 The Minisoft JDBC (Java™ Data Base Connectivity) driver lets any programmer write applications in Java™ to access MPE flat files, KSAM files, Image, and TurboIMAGE databases using standard SQL statements. It allows a developer to use familiar Java™ development tools to access information on HP 3000 computers. You can deploy a one-, two-, or three-tier database-access solution, providing the user with access to databases located on any HP system. A software development toolkit designed for building client/server applications in a networked Windows environment. Supports direct Image and TurboImage database access. Developers can use Visual Basic, Delphi, or Visual C to design applications that read, write, delete, and update databases, KSAM, or MPE files. Perform file transfer functions to and from a wide variety of hosts. Move your Image database to HP-UX, Linux, or Windows and access it using Minisoft’s ODBC for Eloquence. Minisoft’s ODBC driver for Eloquence is supported on HP-UX, Windows and Linux where those systems have Eloquence version A0700 pr6c or later with TurboImage extensions. With ODBC, HP 3000 data can be accessed by 32-bit ODBC client software — such as MS Access, Impromptu, Lotus Approach, Visual Basic, Crystal Reports, Speedware Esperant, Brio, Delphi, PowerBuilder, Active Server Pages, etc. Minisoft’s ODBC and JDBC drivers for MPE, HPUX, LINUX and Oracle enables these platforms to directly access data from TurboImage databases, KSAM and MPE file residing on HP e3000s. This opens up many new capabilities for migration and interoperability. “OLE DB” opens the door to a rich set of development tools and platforms for Microsoft Windows Servers. Microsoft has announced that OLE DB will be the method by which all information is accessed. The Microsoft OLE DB to ODBC Bridge known as MSDASQL is NOT recommended by Microsoft for the 64-bit environment. The roadmap for future Microsoft applications requires using OLE DB data sources to “provide uniform access to data stored in diverse information sources”. 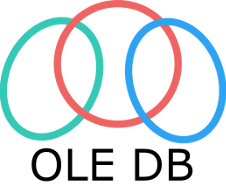 The Minisoft OLE DB Provider provides that access to your existing Image and Eloquence databases.